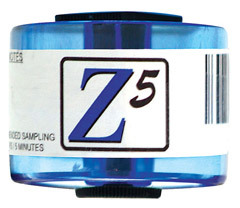 5 liter x 5 minute air sampling cassette made by ZEFON EXCLUSIVELY for PRO-LAB. The Z5 sampling cassette is a cost effective, first-line mold screening tool that efficiently and reliably collects mold. 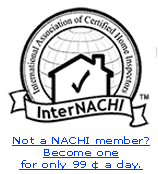 It can be easily used by home inspectors to get preliminary information on whether a mold problem may exist and further investigation is warranted. The Z5 is a spore trap impactor that uses slit impaction as the collection mechanism. This method is an industry recognized and reliable method that allows superior mold spore collection. Manufactured by Zefon International, an ISO 9001:2000 certified manufacturer and industry leader in the design and manufacture of air sampling equipment. Remove the caps from both ends of the Z5. Attach the vinyl tubing from pump to bottom of the Z5 (where round cap was inserted). Calibrate pump before each use making sure that the bottom of the stainless steel ball in the flow-meter is sitting above the 5 liter line marker. Run pump for 5 minutes.